Pope Francis, in his interview with La Repubblica, published today. A caveat though: there are a couple places where there seems to be either less than technical translating, or some dubious editing. It was not as carefully done as the Jesuit interview, and not as in depth. For example, in the quote above, the english “Heads of the Church” seems to imply the Head of the Church, which is Christ. Obviously not what the pope meant. In italian capi delle chiesa refers to “leaders in the church” – popes, bishops, pastors, even DREs or pastoral associates could be implicated. At one point there is reference to “religious ecumenism” (ecumenismo religioso) which makes little sense: does it mean interreligious dialogue or Christian ecumenism? Is there supposed to be some kind of ecumenism that is not religious? My authoritarian and quick manner of making decisions led me to have serious problems and to be accused of being ultraconservative. I lived a time of great interior crisis when I was in Cordova. …I have never been a right-winger. It was my authoritarian way of making decisions that created problems. But now I hear some people tell me: ‘Do not consult too much, and decide by yourself.’ Instead, I believe that consultation is very important. Pope Francis in his interview with Antonio Spadaro of La Civiltà Cattolica, and published in Jesuit magazines around the world on 19 September. [c.18:30] – just finished giving a conversational English lesson. Pretty sure there will be black smoke in half an hour. Maybe I should run over there anyway? Nah… I’ll just miss the smoke, it’s wet, and I’ve got work to do. [c.18:50] – hm. 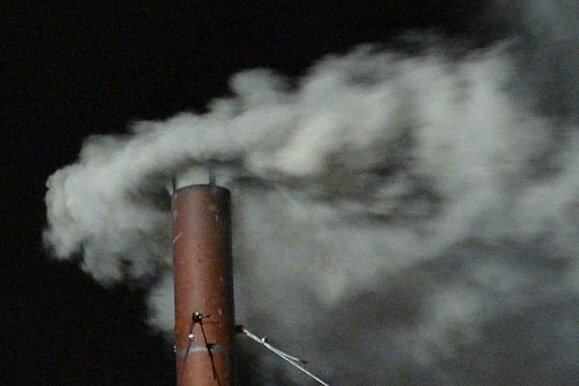 I think Philippa Hitchen is on Vatican Radio, they should have the chimney on livecam. At least I can say I saw the black smoke ‘from a distance’ tonight if anyone asks. Heh heh. [19:06] – working on editing a friend’s article. Smoke! Hm… looks pretty dark grey. Really dark… e’ nero? E’ bianco? E’ nero. Maybe go back to editing… ok, one last look. Still grey… hey, is that bell moving? [commentator: “looks pretty grey, but wait, the bells!”]. Elected on the fifth ballot?? I thought it would be tomorrow at the earliest! This is only one more than Ratzinger. [19:07] – knocking on doors. “Habemus papam!” start ringing our bell. [19:08] – I’m going down there, now. Anyone wants to join me, I’m taking a taxi. [c.19:20] – five of us went, after waiting forever (five minutes) for some people to change. Halfway to the cab stand, three jumped on the 81. Alex and I got in a cab. At about 19.40, near Chiesa Nuova, we see a group from the Russicum walking by, and we decided to ditch the traffic and join them. [c.19:50] – arrive in Piazza San Pietro, someone in the group knows one of the security guys and we get into the square, all the way up to the obelisk. I’m wedged between U.S. college students from New York, an Italian sister with a robust singing voice, three Eastern Catholics and a prolific contributor to the New Liturgical Movement. Cardinal Protodeacon Tauran: Annuntio vobis gaudium magnum: habemus Papam! Me: Giorgio? George… maybe George Alencherry, the Syro-Malabar Major Archbishop? Cardinal Tauran: Sanctæ Romanæ Ecclesiæ Cardinalem Bergoglio qui sibi nomen imposuit Franciscum. Me: Bergoglio? Which one was he? Italian? Pope Francis? Assisi or Xavier? or both? Can I be cautiously optimistic? Overheard nearby: Francis? *shudder* That’s not good: All innovation is BAD. He reminds me of Papa Luciani, John Paul I, for some reason. Someone nearby says he looks like Pius XI. Simple, severe maybe, but simple. Am I smiling? “bishop emeritus of Rome Benedict…” how much better that sounds than Pontifex emeritus! 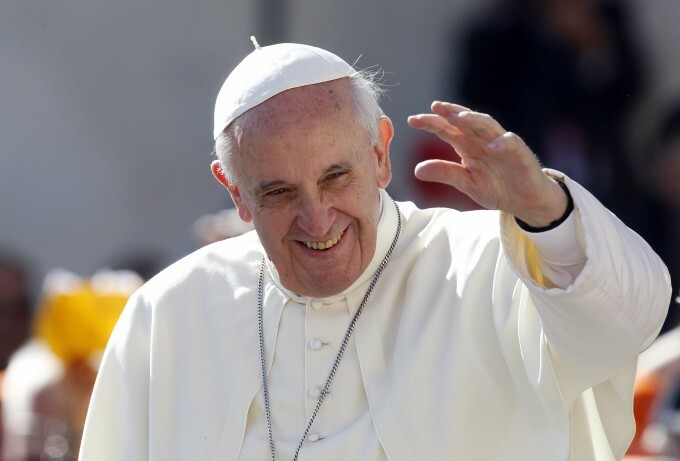 Could we have an ecclesiologist pope? That’s “bishop of Rome” at least three times now. Not pope, not pontificate, but bishop, bishop of Rome. Be still, my ecclesiologist’s beating heart! I think I really am smiling! He seems so… humble. Almost awkward, these pregnant pauses, but I get the feeling he really did not expect to be there. Not an actor, not a professor… a pastor? A reformer? An introvert? Not sure what it means. So, in summary: First Francis. First Jesuit. First from the Western Hemisphere. First non-European bishop of Rome in almost 1300 years (Gregory III from Syria). Chose a casual, informal greeting. Asked for the blessing of the assembly before he offered his own, and bowed to receive it from us. Clearly knows the pope is first and fundamentally the “bishop of Rome” (and the pope emeritus is really the bishop emeritus of Rome). 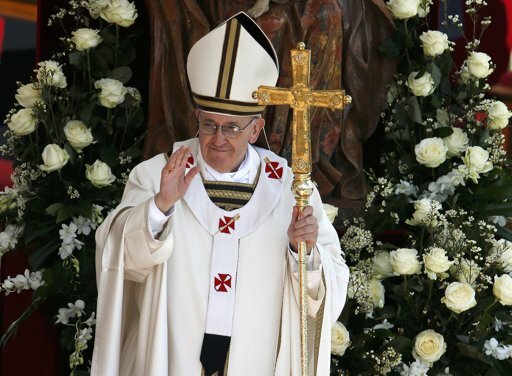 He chose the simplest of the vestment options in which to appear (no lace, wooden pectoral cross) He will spend his first day visiting a shrine of Our Lady. He took his name in honor of Francis of Assisi, perhaps the most universally accessible saint we have, known for humility, care of creation and the poor, dialogue with Islam, and “rebuilding” a corrupt and failing Church. I think as we left the Piazza, most people still had no idea who had been elected – or perhaps they were just in a sort of joyful shock, the kind you get when something you have wanted for so long seems to be coming true, but you are not sure whether to believe it or not. 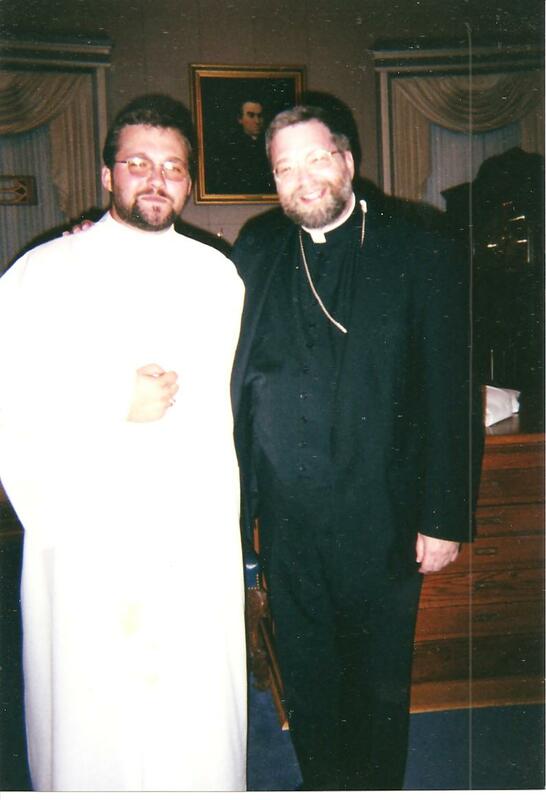 In the fall of 1997, I remember standing at the door to the Basilica of the Sacred Heart at Notre Dame, as I was congratulated several times on my appointment as auxiliary bishop of Fort Wayne-South Bend. Of course, it was not me, but Daniel Jenky, CSC, rector of the basilica who had been so nominated. I was merely serving as vimpa for Bishop John D’Arcy, who was on hand to make the announcement. I was also jokingly referred to among the other servers and basilica staff as Fr. Jenky’s body double, so alike we looked with beard and glasses. Vested in alb and vimp veil, it is no surprise I was mistaken for the bishop-elect on more than one occasion that day. We decided to dub his excellency as poster-bishop for our newly founded “Beards for Bishops” campaign. We – seminarians, servers, and theology students – felt it was high time for the lingering prejudice against hirsute hierarchs in the Latin church to come to an end. When differences become polarized divisions, extreme positions are taken in reaction to “the other” that would not be considered in an objective, balanced mindset. Thus Reformed churches become iconoclastic and whitewashed, while Catholic churches spew baroque excess, each extreme fueling an even more extreme reaction. Similarly, as Eastern and Oriental churches maintained and promoted a manful and manly beardliness for its clergy. in the wake of division, the Latin west insisted on the clean shaven route. Perhaps in the wake of that move, clean-shavenness was purported to be too effeminate for the orders of the East, and so on. In law, starting in the twelfth century, Latin clergy were discouraged and sometimes forbidden from growing their beards. The Council of Toulouse, in 1119, apparently threatened excommunication for those whos facial hair grew (or merely grew unruly, it is not clear), and Pope Alexander III (1159-81) ordered his archdeacon (think vicar general/chief of staff) to ensure that all Roman deacons and presbyters were clean shaven, by force if necessary. Gregory IX incorporated Alexander’s decree into canon law, and there it remained into the twentieth century. In 1866, the second plenary council of Baltimore explicitly outlawed beards for clergy in the U.S. The 1917 Code of Canon Law said merely to keep a simple hair style (CIC 136 §1), so the local law and cultural taboo remained. No legislation regarding facial hair remains in the 1983 code, Deo gratias. It was not a consistent ban, despite the attitude and cultural assumptions during the Pian papacies of the 19th and 20th century. The popes from Clement VII (1523) to Inocent XII (d.1700) certainly had beards (as did, if the mosaics at San Paolo fuori le Mura are to be believed, most bishops of Rome from Peter through the first millennium In fact, it was 800 years before we had the first beardless pontiff, in the person of Pope Valentine). Nevertheless, the late pre-conciliar climate had ossified the ban on barbarous appearance, and even after the apparent change with Vatican II, a bearded bishops was still barely to be found in the western Catholic church. From those humble beginnings in 1997, the Beards for Bishops campaign is now even more humble, and ready to tackle the next challenge: a bearded bishop of Rome. Quod non fecerunt Barberini fecerunt barbari, anyone? Of these ten, then, who is papabile? The retired Coptic patriarch is already a patriarch emeritus and unlikely to succeed another. The Antiochene may be seen as too old. The Ukranian major archbishop, de facto patriarch of the second largest of the Catholic Churches (after the Roman), is seen as the most likely of the non-cardinals, but as more than a decade younger than the youngest cardinal, it is still a long shot. And, the idea of electing an eastern patriarch as bishop of Rome may still be too great a change for too great a number of cardinal-electors, though there is a sort of precedent (thirteen Greeks, four Syrians, and two from modern day Israel/Palestine, if you count Peter himself). Though I might personally welcome such a move, let us assume it is unlikely. That leaves only two villous vescovi among the princes of the Roman Church. Archbishop Reinhard Marx of München serves on the pontifical council for peace and justice and the congregation for catholic education, and is president of the German bishops’ conference Committee for Social Issues. 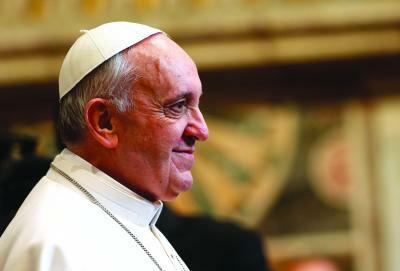 He was elected a year ago as President of the Commission of the Bishops’ Conferences in the European Union. He has published books on Catholic Social Teaching, and has been a bishop since 1996. When he was appointed, German news agency Deutsche-Press Agentur, described him as “left of center” in general, but “moderately conservative” on doctrinal issues. There have been seven or eight German popes, depending on whether you count Stephen IX, born in Lorraine (now France). 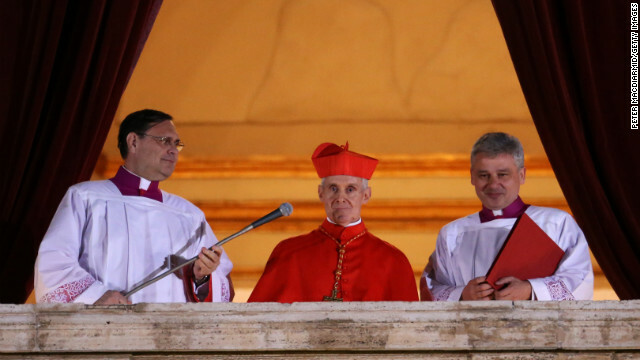 Could one of these two men be elected bishop of Rome later this week? If so, the Beards for Bishops Campaign will rejoice in the return of the razorless pontificate after centuries of suppression. Join us in prayer, invoking the patron saints of facial hair, St. Brendan the Navigator and St. Wilgefortis the bearded virgin and martyr.